Sitting on the east boundary of the Chesapeake Bay and Southwestern boundary of the Potomac River, Southern Maryland is just a short drive our nation’s capital and offers a variety of recreational opportunities. Southern Maryland has a colorful history ranging from tobacco farming to the Civil War. Many non-profits and community organizations make their homes Southern Maryland to assist residents and contribute to the well-being of the community. 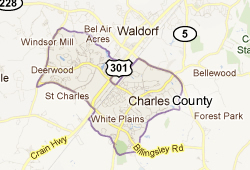 Here is a directory of community organizations in the Southern Maryland region. By dialing 2-1-1, Maryland residents can get assistance on everything from physical and mental health, employment information, support for persons with disabilities or information about volunteer opportunities and basic human needs. This regional chapter serves over 80,000 people in the Southern Maryland, Northern Virginia and D.C. areas. It provides counseling, education and information for families and caregivers, and offers support groups and training and education for professionals. The Central Maryland Chapter’s mission is to help people prevent and prepare for emergencies. The Red Cross offers a wide variety of services including disaster assistance, disaster preparedness, services to Armed forces, and training for nurses and healthcare workers. They are well known for their blood drives. This chapter of the Boy Scouts serves six counties in Southern Maryland, ten counties in Northern Virginia and the District of Columbia. The mission of the Boy Scots is to instill strong values in boys and young men and to assist them in making ethical and moral choices. The Zekiah District serves Charles County with a variety of youth programs and is compromised of Packs, Troops and Crews of boys from 1st through 5th grades. Sponsored by the Society of the Divine Savior, Camp St. Charles is an overnight summer camp for boys and girls with camps lasting two weeks. The camp teaches life skills and values based on the teachings and traditions of the Catholic Church. This private, non-profit organization offers mental health services and education to children and their families. It also provides group and individual therapy along with community awareness programs and prevention programs. An offshoot of Chaney Enterprises, this organization offers scholarships to young adults majoring in the building trades and offers golf tournaments, annual picnics and beautification grants. Dedicated to promoting and protecting the health of Charles County Residents, the Department of health offers health education classes, disease detection and prevention and mental and physical health services. This non-profit organization provides community-based adult literacy and tutoring programs for free to residents in Southern Maryland. Other services include basics of writing, GED preparedness, and tutoring for foreign-born residents looking to understand their communities and workplaces. The Master Gardener Program provides volunteer and horticultural education through the University of Maryland and teaches Charles County residents how to cultivate a garden, manage the landscaping of their yards and how to use sustainable local resources in their planting. This nine-month, tuition based program provides leadership training to local businesses to prepare them to make good decisions and become aware of regional issues. This local foundation is dedicated to the preservation of the Marshall Hall Building. This local chapter of Right At Home offers in-home care and assistance to seniors and disabled residents in Charles County. They offer post-hospital care along with assistance for aging parents and adults who choose to remain their homes. This online arts organization promotes local artists and provides resources for local educators and publishes listings of events and classes in the region. This community-based non-profit offers youth suicide and delinquency prevention along with youth development services and drug and alcohol prevention. It works to educate and alleviate conditions and behaviors that lead to these behaviors. The United Way of Charles County partners with a variety of local private and non-profit organizations to improve the health of adults and to help young adults and children achieve their potential. The VFW strives to improve the local communities it serves and offers veterans and their dependents services during times of distress and assistance on adjusting to civilian life. This global organization of professionals and executives works to advance the status of women both locally and worldwide through advocacy and awareness. It also works to advance the understanding of goodwill and peace through business professionals. This directory of community organizations provides just a few of the many fine organizations that serve Southern Maryland. For a list of more community organizations click on SouthernMarylandOnline.Com.